Principal Plumpton Facts, Figures and Top Trends. 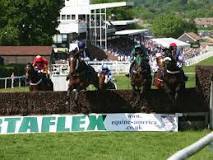 The most prestigious race held at the course is the At The Races Sussex National (Handicap Chase) held in January and carries a prize of £9,393. In 2011 the winner is Minella Boys trained by Charlie Longsdon. On the same day is staged the At The Races Sky 415 Novices' Chasewith prize money of £6,320. The winner in 2011 is Tullamore Dew trained by Nick Gifford. 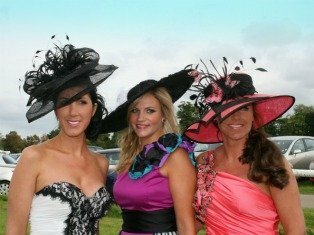 One of the most popular events at this venue is Ladies Day held in 2011 on Sunday 18th September. Prizes by Heart’s Lyndsey Bartlett are given to men and children as well as the Ladies. Admission is just £10 in advance (£16 on the day) giving access to all public areas. For those looking for local accommodation, Pelham House is the hotel of choice. Converted to a hotel from a grand 16th century town house, Pelham House has stunning architecture and beautiful grounds and is all you could wish for in luxury accommodation and fine dining. The racecourse is situated in the heart of the Sussex countryside and is easily accessed by road or rail (the rail station adjoins the Racecourse grounds). The Sussex seaside towns of Brighton, Hastings and Eastbourne are not far away. BF-BotManager is the one I use as it is reliable and is constantly updated to reflect best practice and industry thinking.